In celebration of National Animal Shelter and Rescue Appreciation Week from Nov. 3-9, The Humane Society of the United States encourages pet lovers to reach out and support their local shelters and rescue groups. Approximately 3,500 animal shelters across the United States serve the estimated 6-8 million homeless animals who need refuge each year, and many more animals find themselves in need of the services provided by local rescue groups. National Animal Shelter and Rescue Appreciation Week, founded by The HSUS in 1996 and inspired by the Capitol Humane Society in Lincoln, Nebraska, encourages people to become acquainted with their local shelters and rescues and to learn how they can assist their lifesaving work. The Humane Society offers 10 tips to celebrate the week. Tell the world how you feel about your local shelter or rescue by using The Humane Society of the United States’ Facebook share graphics. Humane Society of the United States offers 10 tips to celebrate the week. • Oct. 29 was National Cat Day. • Nov. 1 is the beginning of National Adopt a Senior Pet Month. Consider a pet that is in it’s senior years if you are thinking of adopting. 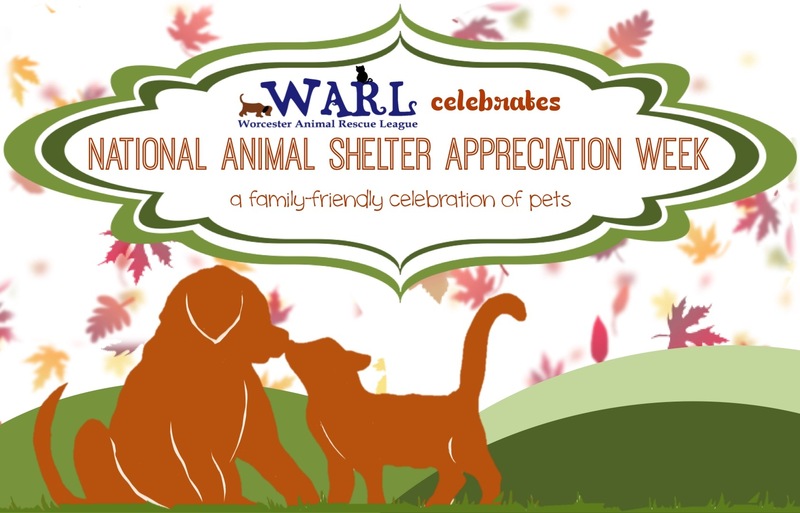 • Nov. 1 to Nov. 7 is National Animal Shelter and Rescue Appreciation Week. • Dec. 2 is National Mutt Day.